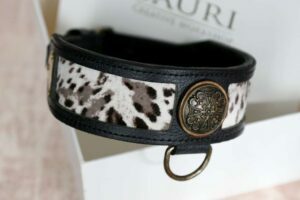 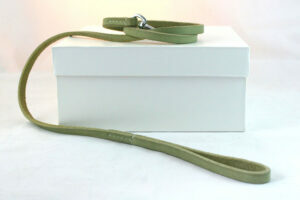 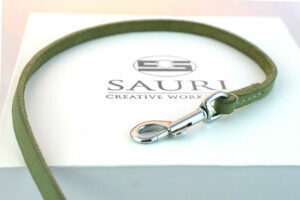 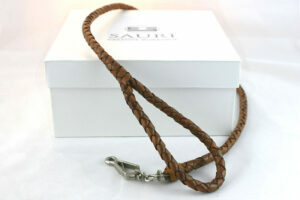 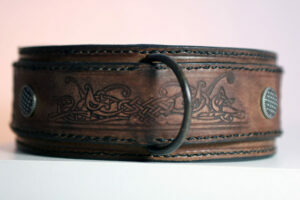 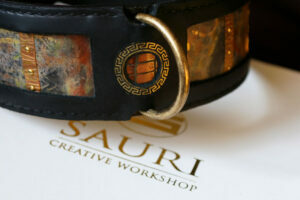 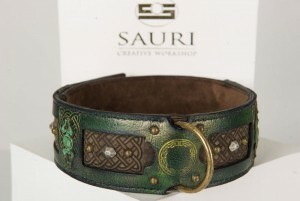 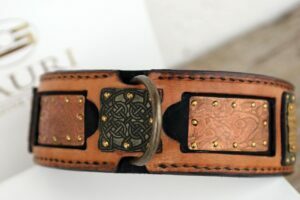 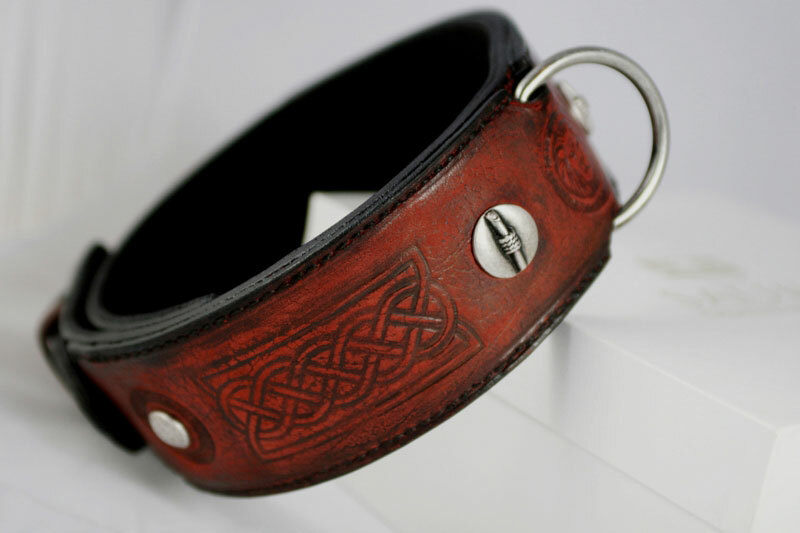 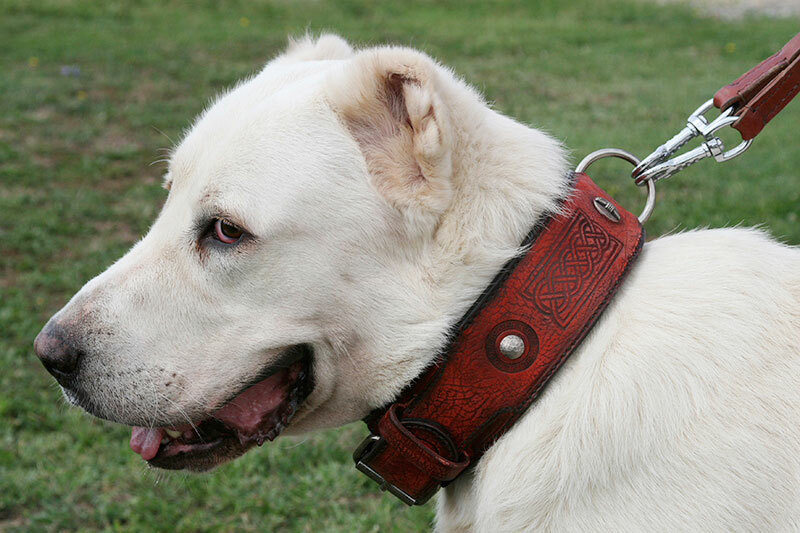 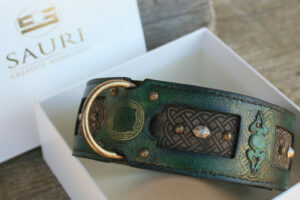 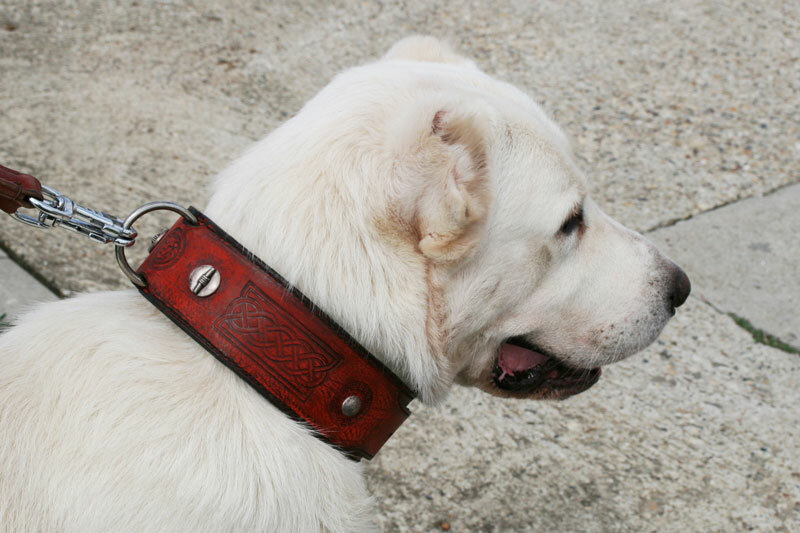 SKU: UC018 Category: Leather Dog Collars Tags: Dog walking, Dog working and training, Embossed leather, Fancy leather, Giant dog breeds, Large dog breeds, Uniquely designed Brand: Workshop Sauri | Leather dog collars. 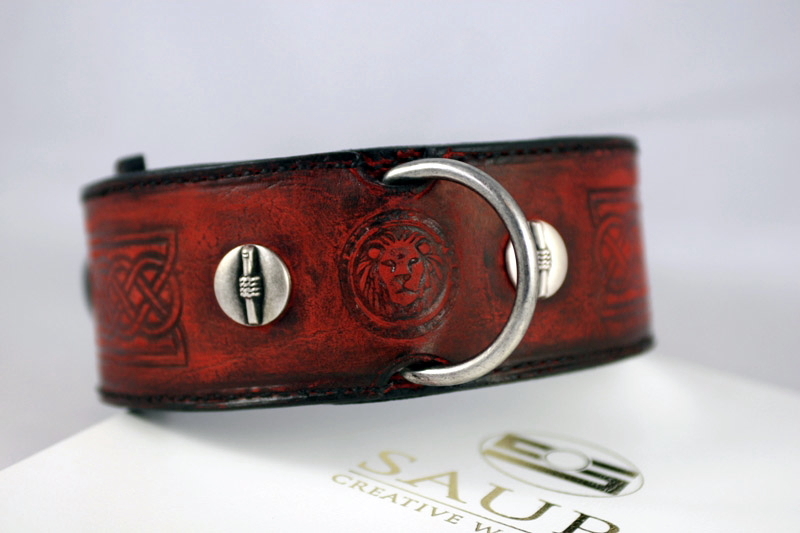 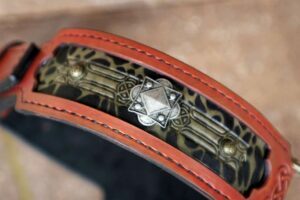 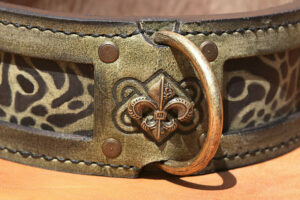 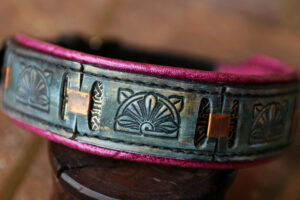 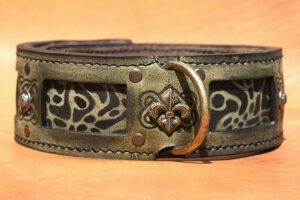 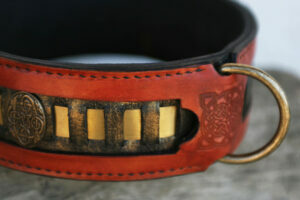 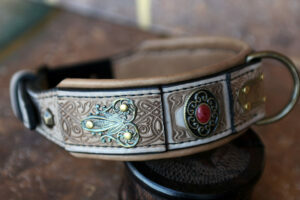 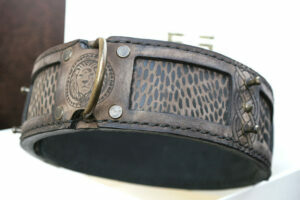 Antique Red Leather Collar with geometrical and lion head embossings. 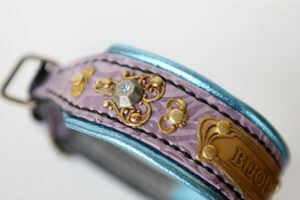 Antique silver details. 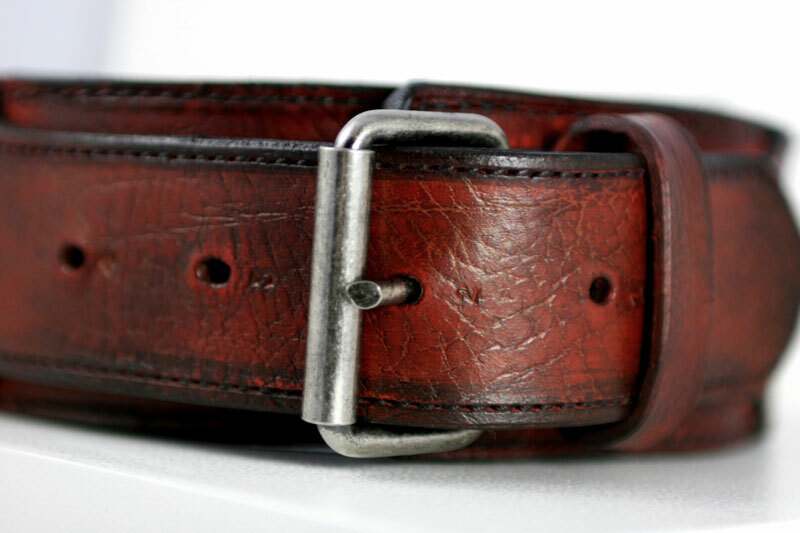 Stainless steel hardware. 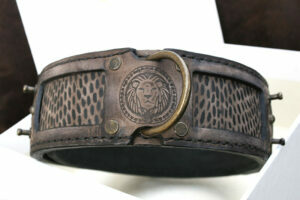 Leo meaning Leonard: Lion strength. 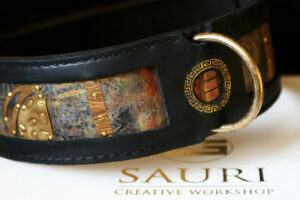 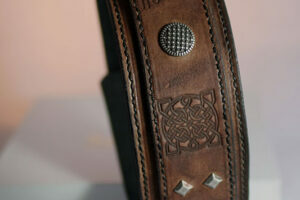 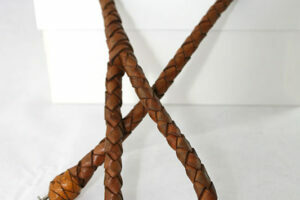 Durable wear, resistant to cracking and stretching, composed of 3 leather layers (each 4 mm thick) hand stitched together. 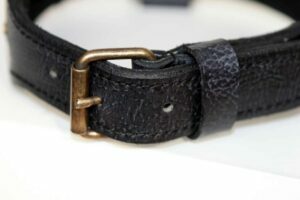 On the parts of the largest exposure to pressure (buckle, D-ring) the collar is strenghtened with the fourth layer of leather. 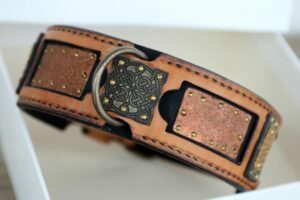 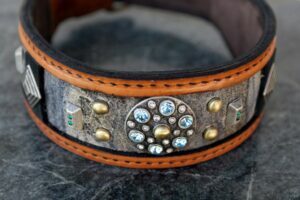 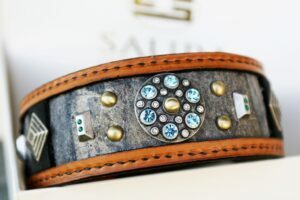 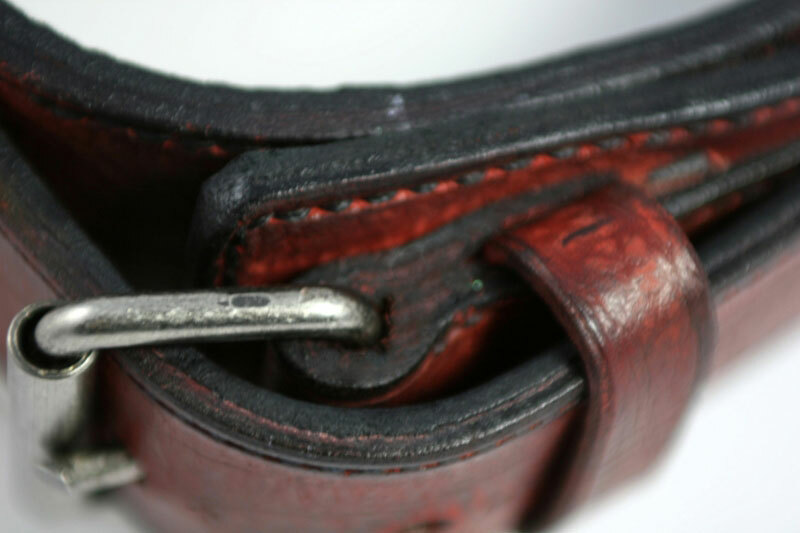 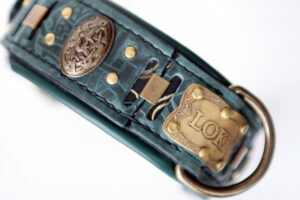 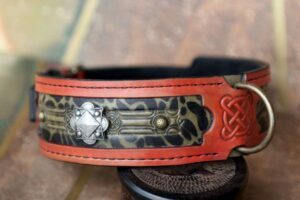 If you have any question about LEO leather dog collar or need advice on choosing the right collar for your dog, contact us – we are here to help.